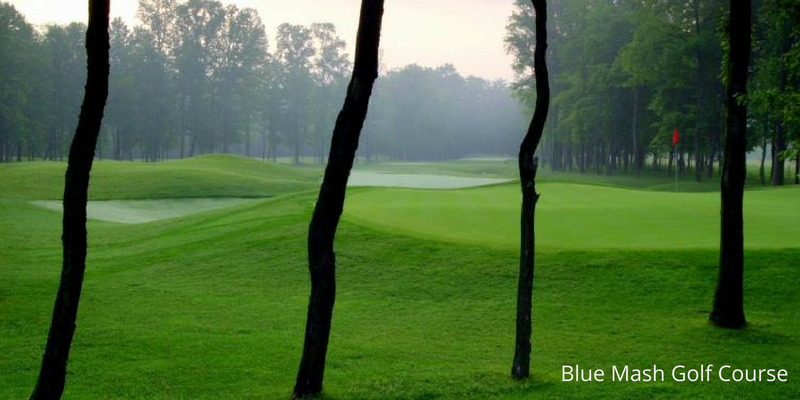 Blue Mash: The always impeccably preserved Blue Mash Golf Course, located in Laytonsville, MD, presents one of the most beautiful golfing experience in the DC area. The course is a longer trip from the city's core then other courses, but for good reason as it tracks through a ton of acreage. With a good mix of links style holes and tree lined fairways, no hole here feels the same. East Potomac Golf Course: One of only a few courses located within the actual boundaries of the District of Columbia, East Potomac presents spectacular views of the City. 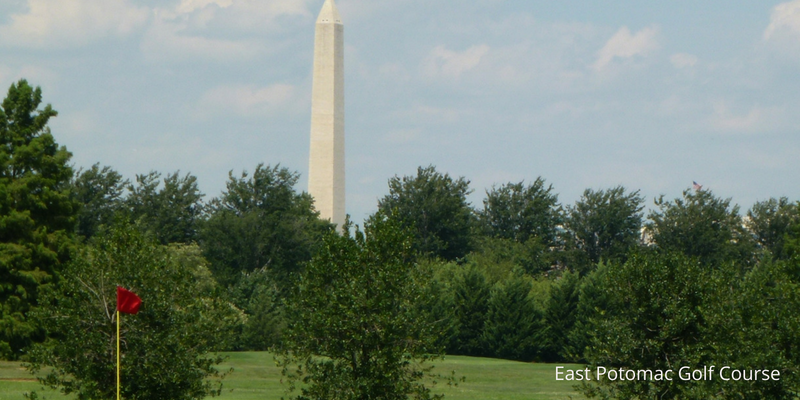 The Washington Monument is often the aiming point on tee shots, as it towers above the trees around the course. If your looking for a challenging course or a spectacular design and layout, this is probably not the course for you. If you're looking for something nearby that provides breathtaking surroundings, tee it up at East Potomac. Potomac Shores Golf Club: The undulating fairways and uniquely designed holes of Potomac Shores provide one of the best golfing experiences in the state of Virginia. 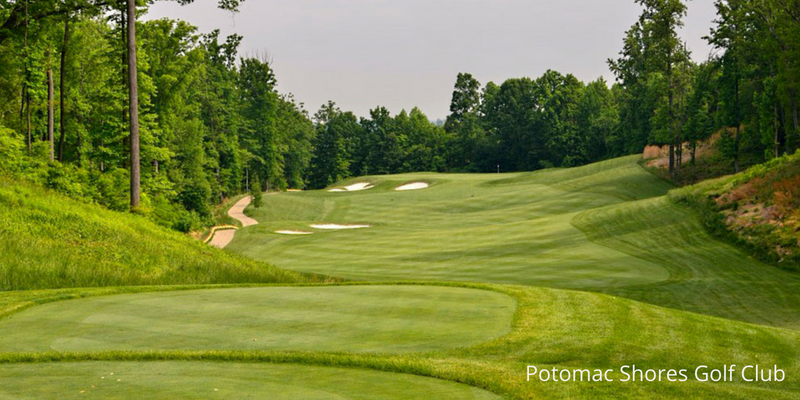 Managed by Troon Golf and located in Potomac Shores, VA, this course plays to a rating and slope of 74.7/144, making it one of the most difficult tracks around. If you are a single digit handicap looking for a tough challenge on a gorgeous course, Potomac Shores is the place for you. 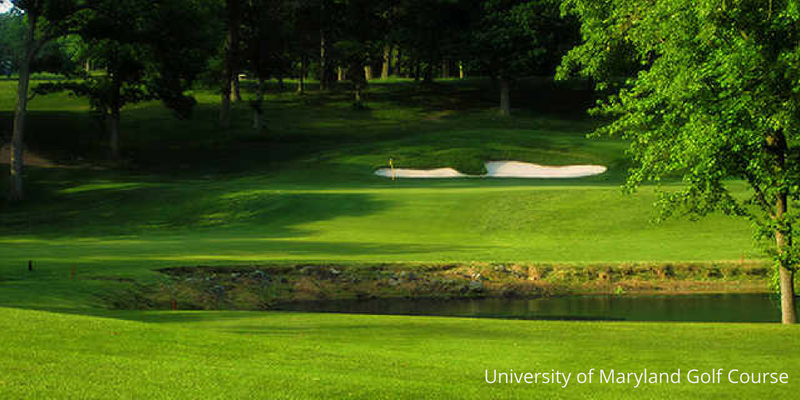 University of Maryland Golf Course: Home to the Terrapins, the University of Maryland's golf course is perhaps one of the best in the entire state. Located just off campus in College Park, The club hosts tons of outside events and often has public tee times available. 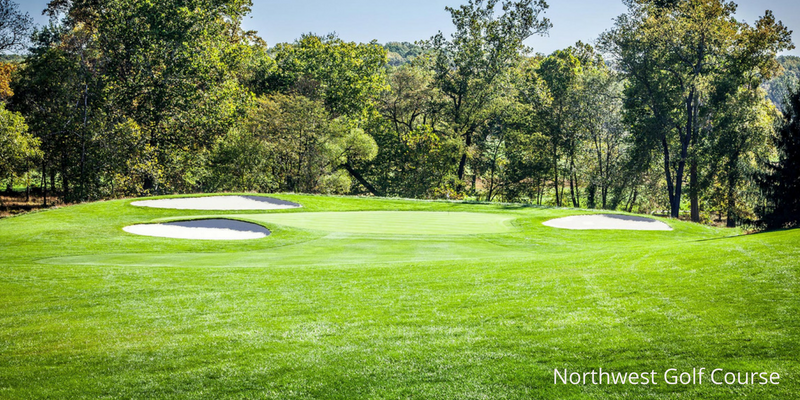 It's also a local favorite, and tee times here should be booked far in advance.